Discussion in 'iPhone and iPad Games' started by Nitzan, Jan 31, 2016. Just like the title says. 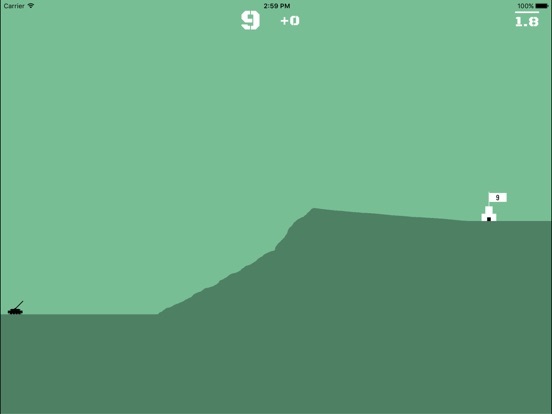 If you like Desert Golfing but wished you could blow up the landscape, then check out TankFinity. 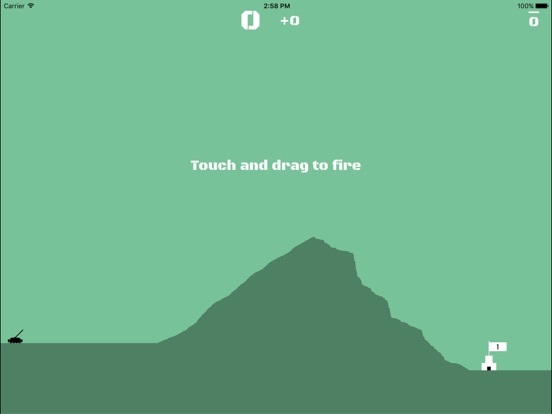 Scorched earth meets Desert Golfing as you fire shots at castles along a randomly generated landscape. 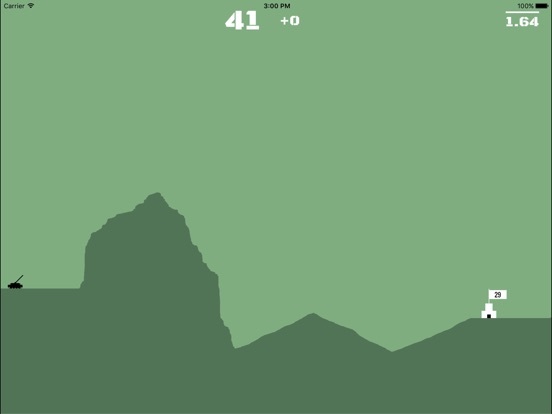 * remember, just like in desert golfing, you can drag from anywhere on the screen to take a shot! What problem are you seeing? What is your device / os? If i put my finger on The screen it would put me up The direction of The shot. Well This line goes backwords respect The direction of my finger. So it's just unplayable by now. I'm not having any problems. Are you not pulling BACK? Aka touching anywhere on the screen and dragging to the left? Anyway, this game is rad. I don't have the game, but maby you can start swiping anywhere on the screen from right to left? Just noticed this thread. 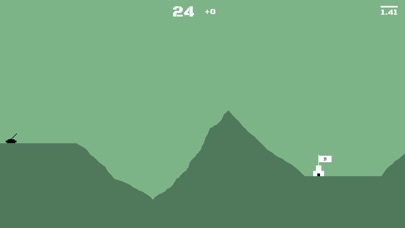 My enthusiasm for Desert Golfing is well-documented. Looking forward to trying this out soon. Damn!! I wish my Game Center worked. 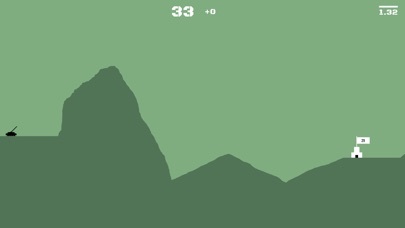 If even one person can assure me that this isn't just a Desert Golfing rip-off then I'm in though. 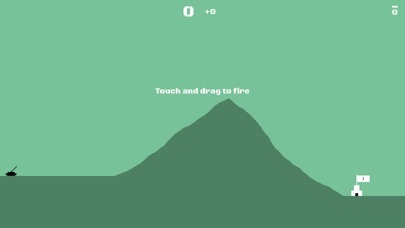 My two cents: the concept for this is pretty cool (crossing Desert Golfing with stuff blowing up). The controls and physics are solid, if not as smooth and perfect-seeming as DG. I may be biased since I'm so used to the feel of DG. 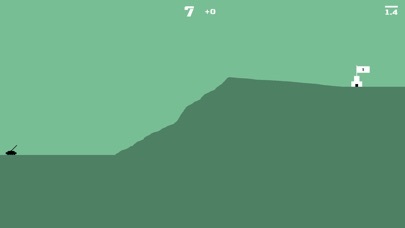 One weird feature is that if your shot hits the top of the game screen, it 'sticks' to it and slides offscreen rather than disappearing and reappearing. There also aren't any sound effects, as far as I can tell. A successful shot and ensuing explosion of the base would benefit greatly from some blowing up noises. The main issue is the way TankFinity diverges from DG when it comes to shots. It does away with repositioning your tank/golf ball to where your previous shot landed. This is obviously necessary conceptually, since a tank wouldn't reposition itself to the crater it just created. But the effect is that you have to make a 'perfect' shot from the starting position to blow up the base and advance to the next screen. It removes one of the main pleasures of DG, which is the way the physics work and how the ball interacts with the landscape. Hopefully the above makes some sort of sense. As mentioned, others might like this more if they're not as conditioned as I am to DG's controls, physics, or mechanics. 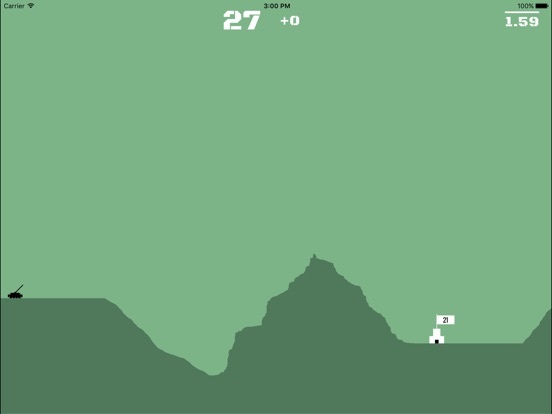 It's a neat idea but probably won't have the staying power (for me) of the immortal Desert Golfing. user error though as I only tried twice. Completely agree with Guise though and it's just missing that little bit of je ne sais quois that makes Desert Golfing as close to perfection as I'll ever witness on my phone. A last minute bug sneaked in causing the sound effects to stop working. I just submitted a new version with the sound effects working + slightly modified controls. PM me your iTunes email if you want to try it on TestFlight. Would love to hear your feedback. So glad the sound effects was a bug. I took TestFlight off my devices as it may (or may not) have helped that Game Center not working bug/virus/thingummy along - looking forward to the update. Never played Desert Golf but this is pretty cool. Really simple fun. 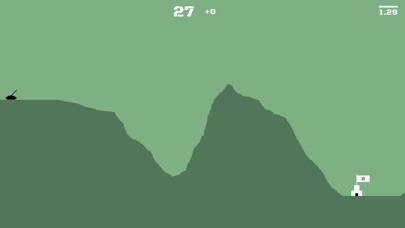 Reminds me of Worms, though I've not played that since the very original release so possibly inaccurate. I still haven't found a comfortable way to control it - left hand, right hand... Never even thought about where to put my finger with Angry Birds. I think I want to put it behind the tank but there's no screen to drag to there. Anywhere else isn't feeling right even though it does work from anywhere. Hope the feedback helps. Version 1.0.1 is out! This fixes the sound effects bug and improves controls. 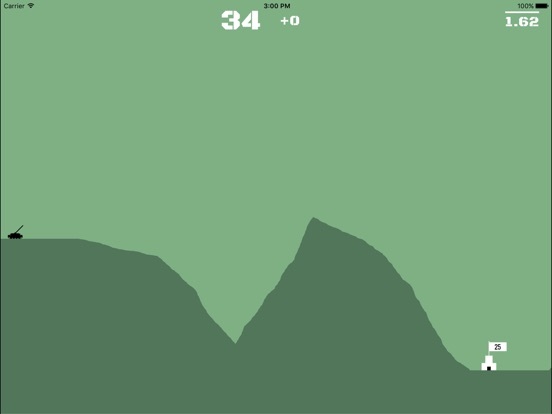 You can put your finger anywhere, just like in Desert Golfing. Starting from the middle of the screen and pulling down works best. I'll add something in the next update to make this clearer. enjoying the update. Missing that little something that made DG a classic but this is as good a homage as you are likely to get. The only thing for me is that you can't recalibrate/reguage your shot. Really enjoy it though and it does wear it's heart on it's sleeve with the game it pays homage to. Ok guys i'm Back to This. Now The control system is really good, and i really start to appreciate This (still loving DG). Imho, sounds are The only thing that i don't like in This Game. They're not "nice" and "enjoyful" and "relaxing". I feel The need of something truly SOFTER (smooth). I know that anyone has their tastes, but This really keeps me from playing and enjoing This revisitation of DG. By now i give you 4 stars. If, in The future, you'll smooth sounds... Well nobody can give you less than 5 stars.